With corporate chains and noisy mega-restaurants dominating the American dining scene, Paley’s Place in Portland, Oregon, is a refreshing change. By opening a restaurant with only 50 seats, Vitaly and Kimberly Paley have made a commitment to creativity and flexibility in cuisine, sophistication in service, and intimacy in the dining experience. The warm environment can be enjoyed via the front porch, open air patio, bar/bistro, both dining rooms. The back room may be reserved for private events, holding up to 22 guests. Since the restaurant’s opening in February, 1995, chef and owner Vitaly Paley has received enthusiastic accolades, including the coveted James Beard Award for Best Chef Northwest in 2005. The restaurant is continually featured in magazines and newspapers across the country – from the New York Times and Oprah Magazine to Gourmet, Bon Appetit and Sunset. Vitaly has appeared on television broadcasts like the Martha Stewart Show, OPB’s Endless Feast, and Chefs Afield, further showcasing his commitment to sustainable, seasonal Pacific NW cuisine. Both Kimberly and Vitaly have a long restaurant lineage in New York and France. Vitaly worked in the kitchens at Union Square Café, Remi and Chanterelle, and Kimberly worked in the front of the house of Bouley, Gotham Bar & Grill and Alison on Dominick Street. The couple met while working at World Yacht Cruises and together they spent part of a year at the two-star Michelin restaurant, Moulin de la Gorce, near Limoges, France. 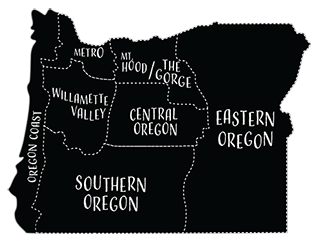 The Paleys chose Portland for their own restaurant because of the Pacific Northwest’s wealth of high quality ingredients.